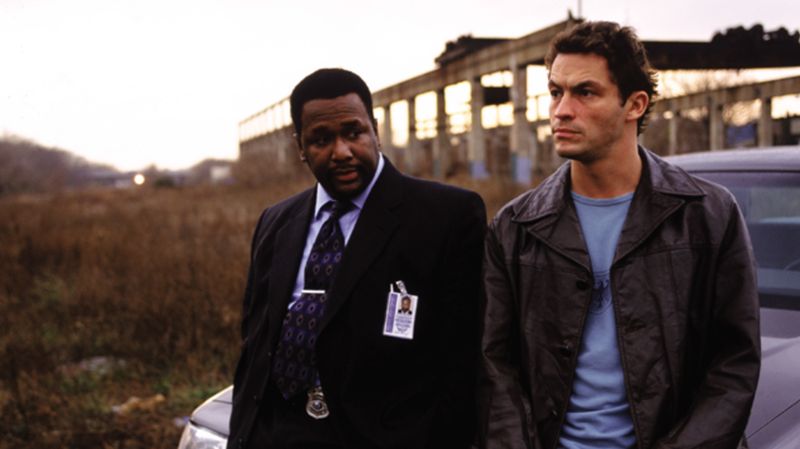 Could Fox Mulder have arrested Stringer Bell? Could Michael Bluth have appeared on Troy & Abed in the Morning? According to these fan theories about seemingly unrelated shows populating the same universe, the answer is: absolutely. We can thank The Wire mastermind David Simon for this one: it all begins with Detective John Munch (played by Richard Belzer), who first appeared on the NBC series Homicide: Life on the Street, which was based on Simon's 1991 book, Homicide: A Year on the Killing Streets. Years later, in 1997, Munch made an appearance on The X-Files and then on The Wire in 2008, prompting many to wonder what was really going on in Baltimore in a universe where The Truth is Out There. This all ties back to everyone's favorite television universe-buster, Tommy Westphall, the autistic teenager who (spoiler alert) it turns out dreamed up the entirety of St. Elsewhere's six-season run in his own mind. Since St. Elsewhere had done a crossover episode with Homicide: Life on the Street, fans theorized that the development rendered it, and every other show with an appearance by or mention of John Munch, simply the stuff of one person's imagination. This sprawling universe includes Law & Order (and Law & Order: SVU), Arrested Development, Luther, 30 Rock, The Simpsons, and all the shows with which they've crossed over. Which is a lot of television, considering that John Munch has appeared on more shows than any other character in television history. If you want to see a full list of the 375 (and counting) series that are considered part of the Tommy Westphall Multiverse, there's a master list and map. While American Horror Story is technically an anthology series, fans have theorized that all of the ostensibly "standalone" seasons are intertwined. Recurring actors and one returning character—the microcephalic Pepper—have spawned fan speculation (and eventual confirmation from series co-creator Ryan Murphy) that all seasons of the anthology are connected. But how? One theory is that the actors are playing different reincarnations of the same soul, while another postulates that the entire series is dispatches from hell. Connections between seasons can be easily traced through locations and names, and Vulture has even mapped out a pretty thorough timeline of events. If any creator was ripe for conspiracy theories around his or her work, it's Joss Whedon. If you're a Whedon fan, it's hard not to notice: "Hey, this guy sure has a lot of similar themes running through his work!" Let's walk them over to the enlightened side. According to this theory, Buffy the Vampire Slayer, Angel, Firefly, Serenity, The Cabin in the Woods, and even Agents of S.H.I.E.L.D are all connected through an overarching story of people trying to protect the world from supernatural evil and the threat of the end of the world. Each has different versions of the Slayers, the Watchers who find and prepare the Slayers, and the top-secret organizations that use sci-fi technology to capture demons, among other things. This synopsis sums it up pretty nicely. A bag of chips is the great unifying thread in this theory—Let's Potato Chips, to be exact. The faux brand appears in all four of these shows as well as at least 21 others, which would be a funny bit of same-universe trivia, if not for the horrifying implications. After all, according to the John Munch theory, Arrested Development doesn't exist and thus, by extension, neither do any of the shows in which Let's Chips appear. The series are inextricably linked via snack food, rendering them simply the fantastical, highly skilled creations of the mind of young Tommy Westphall. Oh, the carnage of a single plot twist. The list is ever-expanding. In fact, you can become part of the nonexistent TV world, too. ISS prop company sells the chips along with a lot of other almost-brands like Henry's chocolate bars and Bullish energy drink. Let's aren't the only props to connect seemingly separate television worlds: the exact same newspaper, which is the product of the Earl Hays Press, has appeared on Married... with Children, Modern Family (Ed O'Neill theories, anyone? ), Desperate Housewives, and many others. Thankfully, it doesn't seem to crossover with the Let's universe, so some things are still real. Much like the Whedonverse, this theory is centered around a single creator, Bryan Fuller. He's the mind behind Dead Like Me, Wonderfalls, Pushing Daisies, Mockingbird Lane, and Hannibal, and fans speculate that all of these shows are part of one richly colored, enchanted, death-centric world. The crossovers in Fuller shows are frequent, and they're not just subtle nods. We're talking the same actors, playing the same characters, appearing in completely different shows. Fuller says it's merely a coping mechanism that allows him to reunite with people—real and imagined—which does make some sense for a guy who's had a lot of bad luck getting shows to last. That seems to have ended for now as Hannibal was renewed for a third season earlier this year. Fuller, who's an active Twitterer, has never done a Reddit AMA (where fan theorists often converge), but has said he'd be up for it, which means someday the champions of Fullerverse might be able to consult the mastermind himself.